The details are provided in the annexure to the budget speech (which is reproduced below). Jaitley’s statement is incorrect at multiple levels. First and foremost he wants us to believe that he has been responsible for all these deductions. Secondly, what he is talking about are essentially tax deductions and not tax benefits. 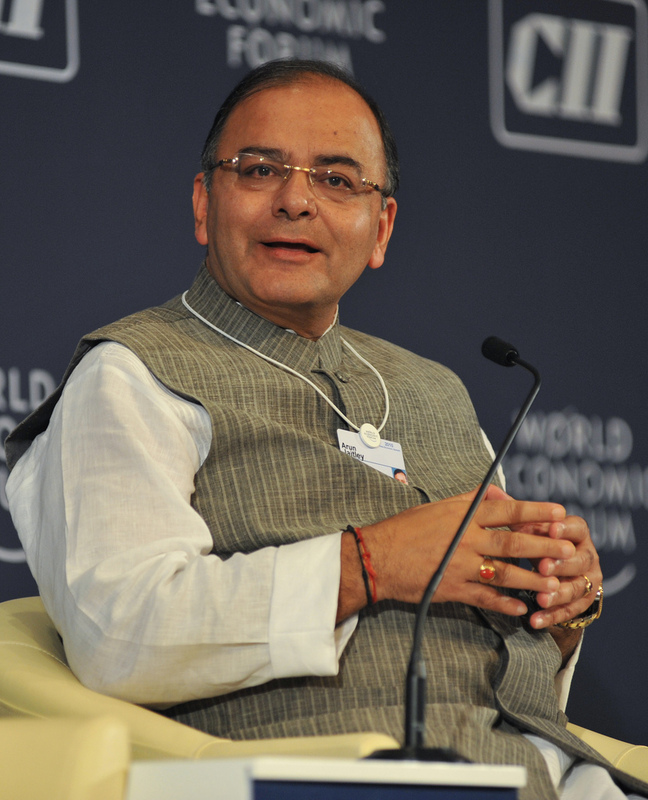 What Jaitley should have said is that the total tax deductions will amount to Rs 4.44 lakh. And the tax benefit would depend on the tax bracket one falls in. So, an individual in the 10.3% tax bracket would save tax of Rs 45,752.6. An individual in the 20.6% tax bracket would save tax of Rs 91,505.2. And an individual in the 30.9% tax bracket would save tax of Rs 1,37,257.8. 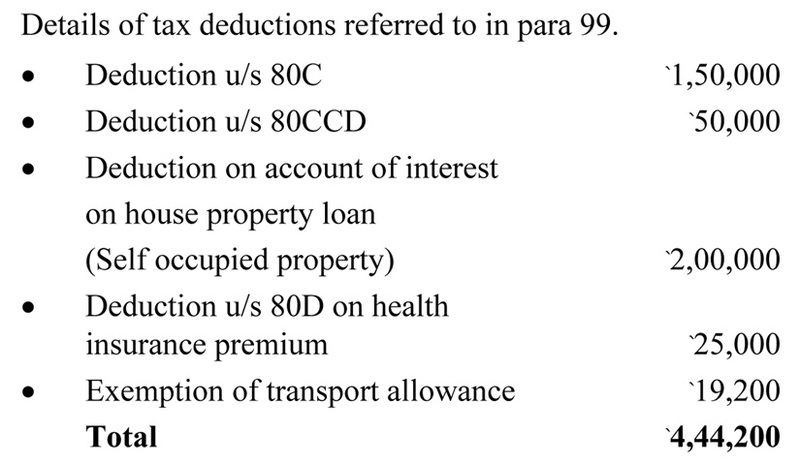 Further, Jaitley’s statement suggests that he is responsible for all these tax deductions, which is not correct. All these tax deductions have been around for a while. Jaitley in his two budgets has just re-jigged the total amount of deductions that are allowed, under the various sections of the Income Tax Act. So, in the last year’s budget he increased the deduction allowed under Section 80 C from Rs 1 lakh to Rs 1.5 lakh. He also increased the deduction allowed for interest being paid on a home loan for self occupied property from Rs 1.5 lakh to Rs 2 lakh. This year, he increased the deduction on health insurance premium from Rs 15, 000 to Rs 25,000. He also allowed an ‘extra deduction’ of Rs 50,000 for investments made into the New Pension Scheme. The transport allowance allowed as an exemption has been doubled from Rs 9,600 to Rs 19,200. Once all this is taken into account Jaitley has essentially allowed an extra deduction of Rs 1,69,600 in his last two budgets. (Rs 50,000 extra for Section 80C + Rs 50,000 extra for investing in NPS + Rs 50,000 extra for interest paid on a home loan + Rs 10,000 extra on health insurance premium + Rs 9,600 extra on transport allowance). Any ‘extra’ benefit is on this Rs 1,69,600. For those in the 10.3% tax bracket this works out to Rs 17,407. For those in the 20.6% tax bracket this works out to Rs 34,814. For those in the 30.9% tax bracket this works out to Rs 52,221. Hence, the tax deductions and exemptions offered by Jaitley have led to a maximum tax benefit of Rs 52,221 and not Rs 4.44 lakh, as he claimed in his speech.